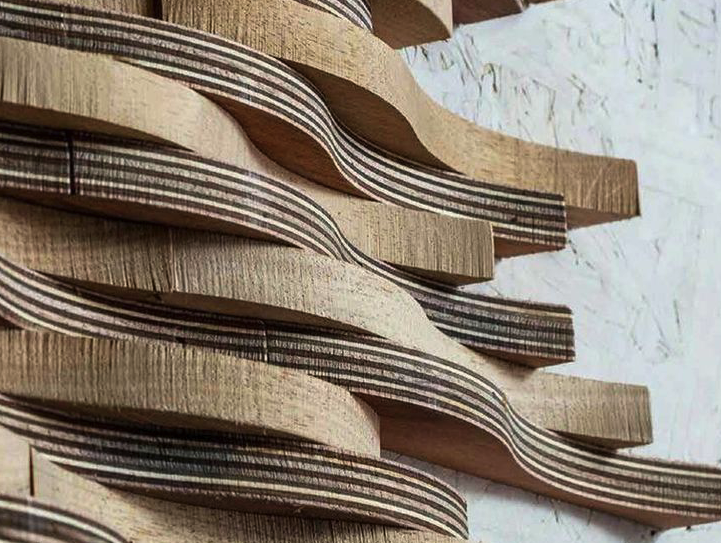 You are already likely well aware of the benefits of incorporating beautiful acoustic products in your interior design. Doing so allows certain rooms and areas to maintain a sense of privacy, and the right acoustics can also minimize distractions and allow employees to work more productively. 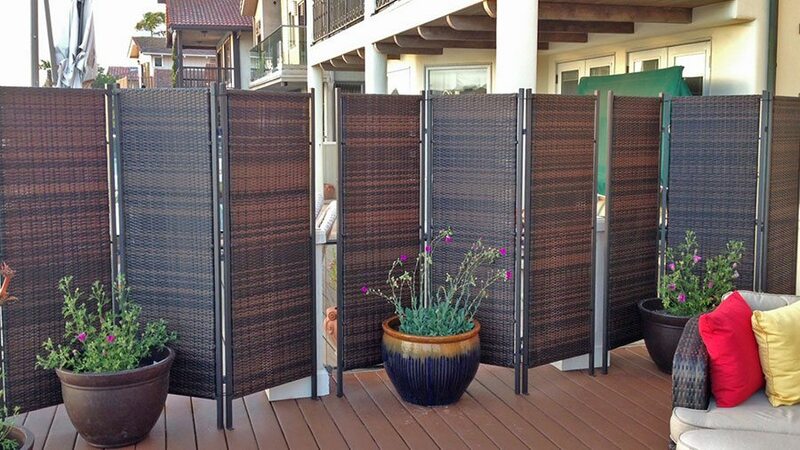 Some acoustic products can be hidden in walls or incorporated in ways that hide them from plain sight. Just think of things like insulation, ceiling tiles and floor underlayment. 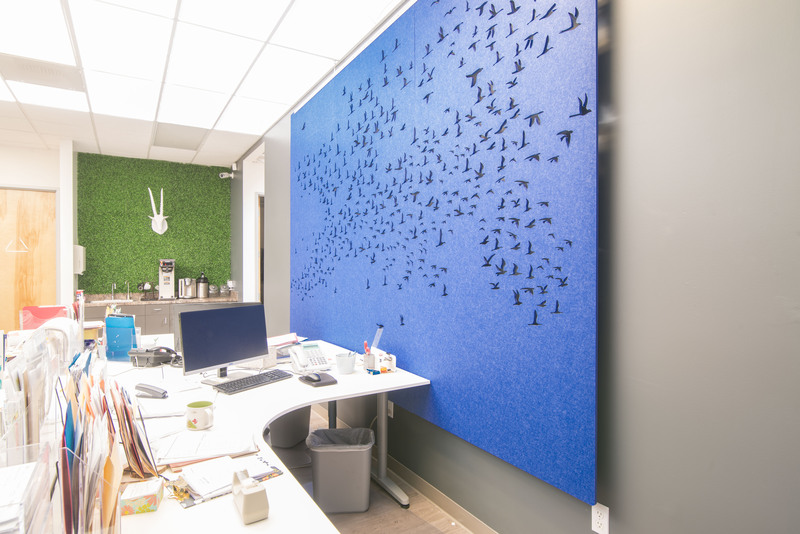 Sound-absorbing panels muffle sound to make a facility more comfortable from a noise standpoint, and they also permit interior designers and consumers to flex their creative muscle with how they position such products. In other words, if you’re using panels to absorb sound, you can get either as fancy or as simple as you prefer when it comes to the install. What’s more is that many types of these panels are sustainable, made from recycled plastic. So you are not just doing good for a facility, you are also doing good by the environment. 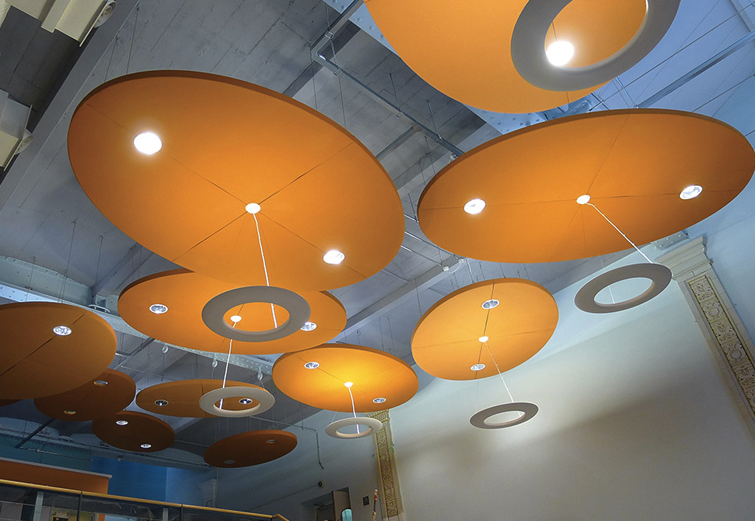 These panels integrate with walls and can also be installed on ceilings. These may look straight out of a science fiction movie, but more and more organizations are moving furniture that incorporates these types of headsets into their environments. 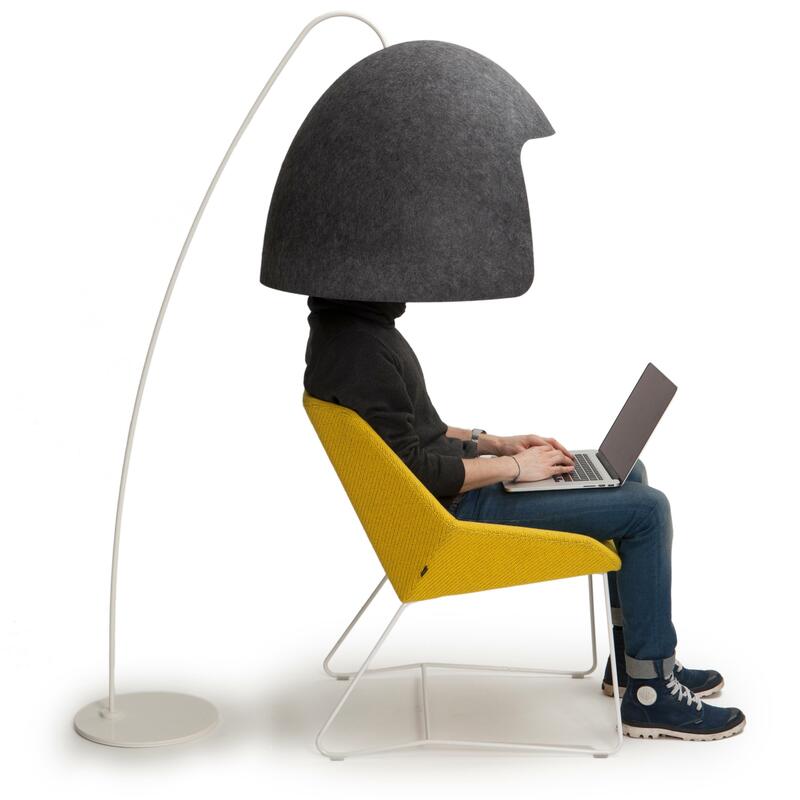 Headset products provide a way for employees to break off from their typical office or cubicle and isolate themselves from distractions when it's crunch time. They can also provide a much needed respite from the rigors of the working day. Hanging screens offer privacy and also provide a stylish sound absorber (not to mention a decoration that also minimizes visual distractions). Screens come in all different shapes, sizes and patterns to cater to any consumer’s wishes. 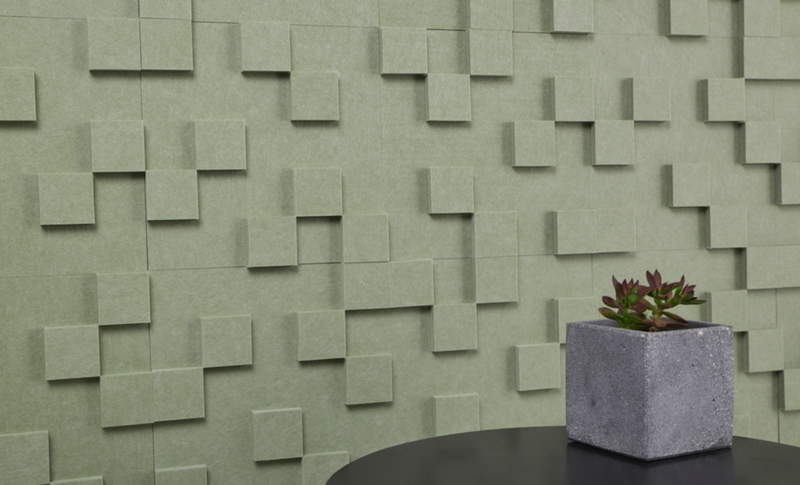 If sound-absorbing panels aren’t for you, then tiles just may be. 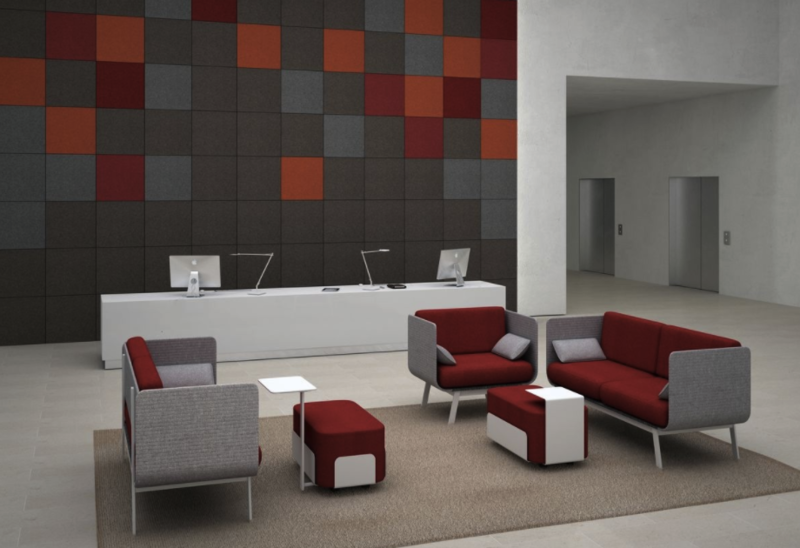 Tiles, such as Topo tiles, permit a bit more artistic creativity than panels do, which can be a really big help in creating unique lobbies, waiting rooms or meetings rooms. What’s more is that many types of these tiles also enable fast, easy DIY installation and come in a variety of different shapes and colors. There are tiles for the floor and walls – then there are tiles for the ceiling. And it’s important not to ignore the ceilings when it comes to designing a space that’s ideal for acoustics. After all, the ceiling is one of the key places that sound can bounce off of, potentially creating distraction for consumers and employees. It’s not a panel, partition or hanging screen, but a decoration that can add a lot of ambiance to any room in the office. Being that it can also serve as a sound deadening device, it looks cool and serves an additional purpose to better any room or area. Another ideal alternative to sound-absorbing panels are partitions, these products come in all shapes and sizes and work well in office environments, particularly for separating cubicles and meeting areas. Many partitions can be purchased in kits, permitting consumers to get as creative as they’d like when it comes to organizing them. Most are also recycled products, made from plastic or bottles. It’s a fact that sound needs objects, products and/or materials to deaden it. 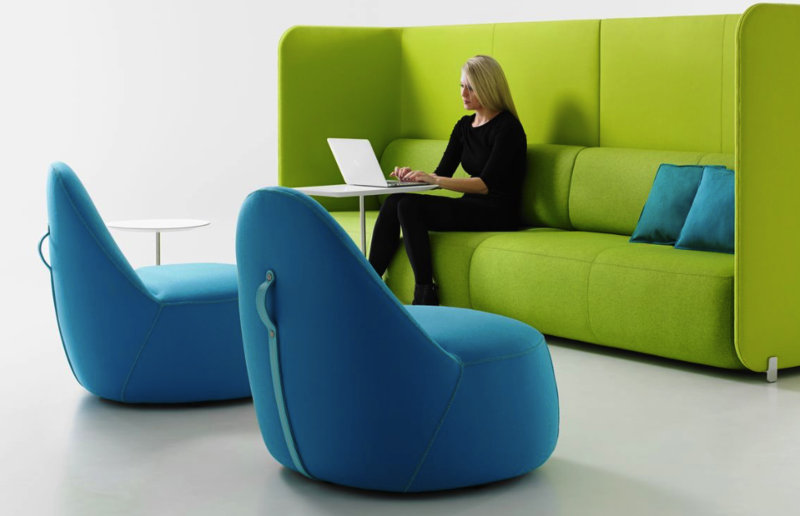 That’s where furniture can come in handy in an office environment, especially one with an open workspace where sound has the potential to travel greater distances and create more distractions. Hence, the right type of furniture (i.e, high-back couches and chairs) can provide buildings with a stylish way of deadening sound. 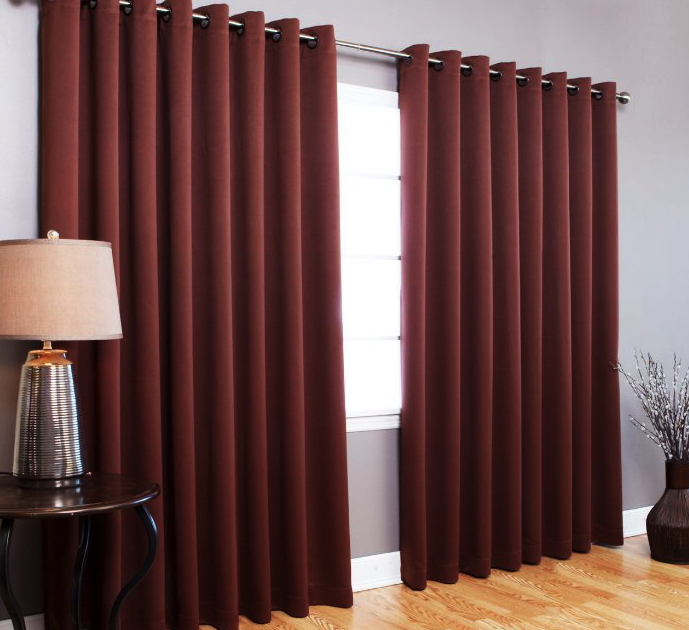 Curtains are a popular window treatment for managing the amount of natural daylight a room or area receives during the daytime hours, and then helping to ensure privacy during the nighttime hours. Furthermore, the right types of curtains can serve as ideal assists in the overall acoustics of a room. While any object will absorb sound in a room – standard curtains included – look for this special type of drapery that’s made with sound absorbing materials to really add oomph to these efforts. Cork flooring look great first and foremost. But these materials also account for being among the best when it comes to sound absorbing. They are an ideal flooring style for the office or any traditional hard floor areas, like kitchens and/or bathrooms. 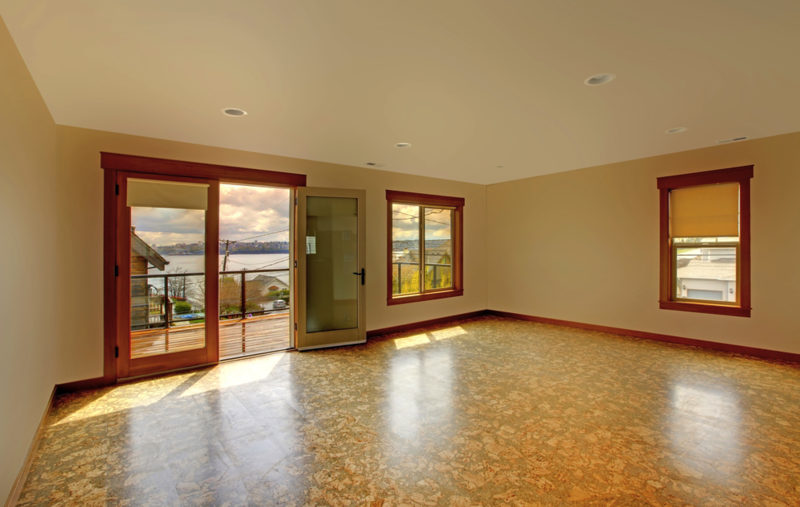 To make the sound absorption even better in any given room with cork or bamboo flooring, consider adding an acoustical underlayment down before installing the floor. The acoustics of any facility need to be considered during the design process. 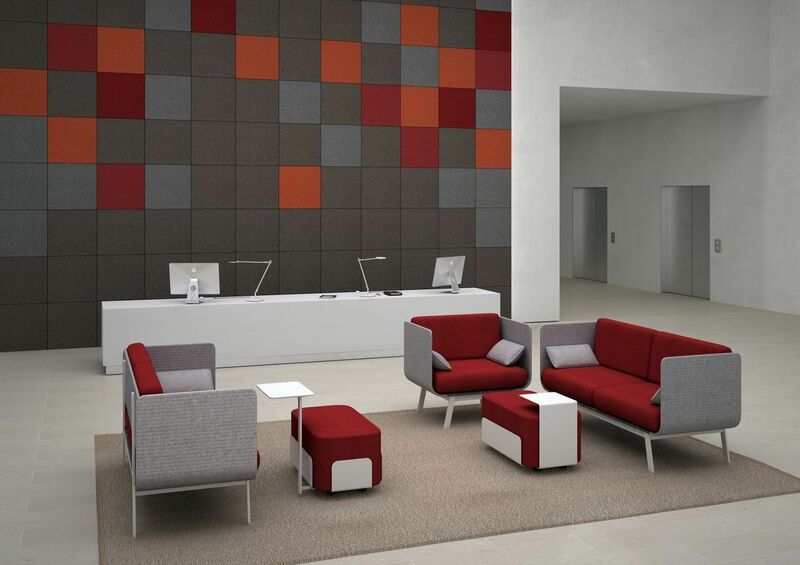 But not all of these acoustic products need to be hidden in walls and ceilings. In fact, some are better left right out in the open.